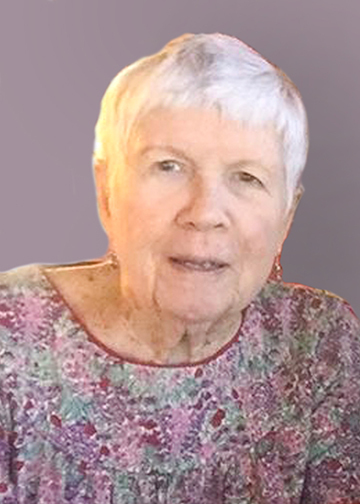 Jo A. Richards, 89, of Nederland, died Thursday, January 17, 2019. She was born August 8, 1929, in Port Arthur, to Jessie Iris Hall Arnie and Henry A. Arnie. Jo loved the outdoors. She especially enjoyed camping and gardening. She was also known for her incredible talent in making stained glass. Survivors include her husband, James D. Richards; son, Henry T. “Hank” Richards and his wife, Gail, all of Nederland; daughter-in-law, Sheila Richards, of Georgetown; grandchildren, Rusty, Jace, and Jonathan Richards; and lifetime friends, Joyce Boehm, of Anderson and Annie Pate, of Nederland. She is preceded in death by her parents; and son, Michael D. “Mike” Richards. A gathering of Mrs. Richards’ family and friends will be from 5:00 p.m. until 7:00 p.m., Saturday, January 19, 2019, at Broussard’s, 505 North 12th Street, Nederland. Her funeral service will be 2:00 p.m., Sunday, January 20, 2019, at Broussard’s, Nederland, with a graveside service 11:00 a.m., Monday, January 21, 2019, at Frankston City Cemetery, Cemetery Road, Frankston. Our prayers are with the Richards family. We will miss our dear neighbor. She was such a wonderful lady and so caring. Rest in peace Ms. Jo. Love you big big..
My prayers are with the family. I considered Jo and James as my saviors at a time when I really needed them. Thank you both. I have always kept both of you in my thoughts and prayers. Jo was such a close family friend & wonderful lady. She had a heart of gold & was always willing to help. She was my Mom's Best Friend & will be truely missed by many. Thoughts & Prayers for her husband, James as well as family & friends. Rest In Peace "Jo Jo", Love You!